At this home to artfully plated Korean drinking snacks with loud hip-hop and a wall of vintage ghetto blasters, meals and cocktails can easily climb to $50 a person. But every Tuesday, it's home to one of the best deals in Portland. Spicy fried chicken, tossed with crumbled peanut brittle, tastes like See's Candy in your favorite Chinese takeout—fried, salty, sweet and savory all at once. It usually costs $14. 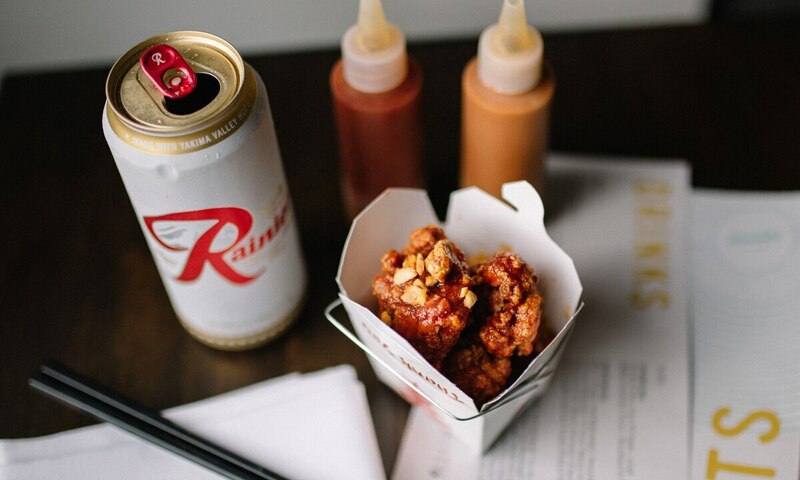 But each Tuesday, you can get a Rainier tallboy and a take-out container brimming with four big chicken pieces for $5.